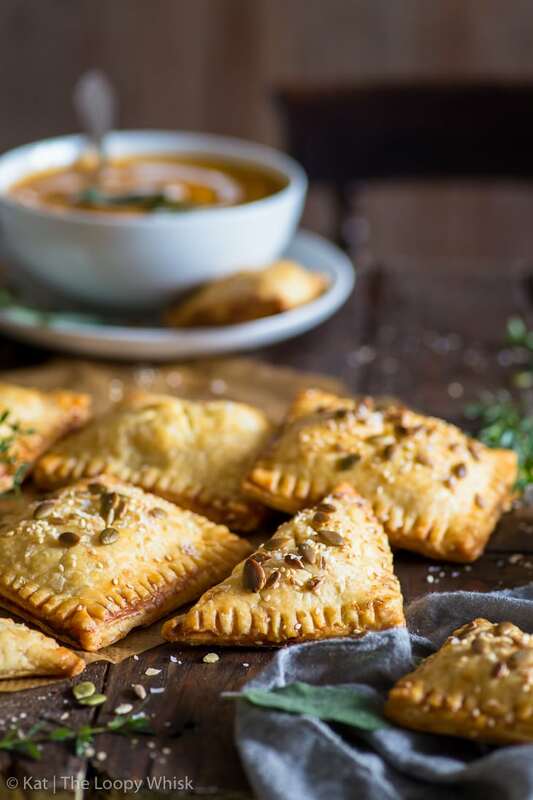 Gluten free pie crust so flaky it’s almost puff pastry + a pumpkin (or butternut squash) filling supercharged with flavour… these pumpkin flaky pastries are the perfect fall comfort food and I honestly can’t get enough of them. And neither will you. 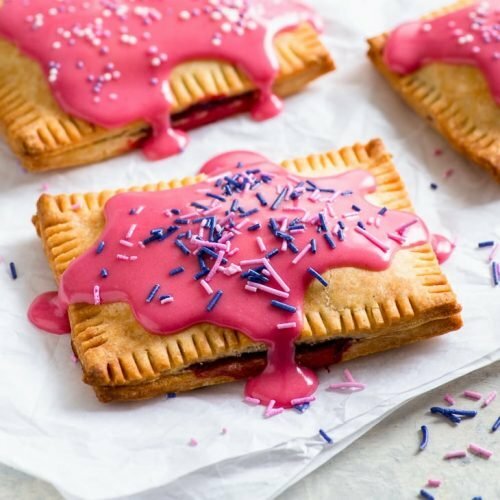 These pastries… oh gosh, these pastries. They’re dangerous. 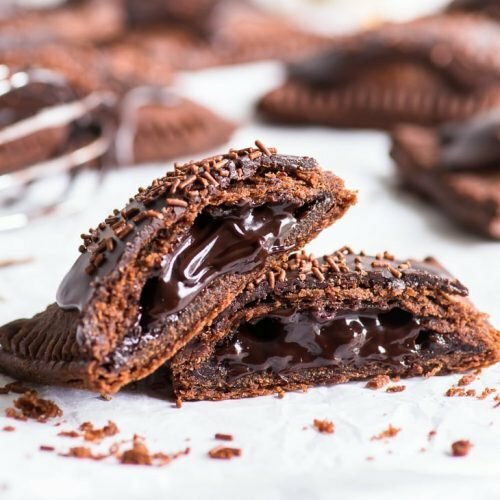 You take a bite, and then all of a sudden you’ve eaten three of them and you’re already reaching for the fourth one. In fact, I’ve just eaten the very last of these pumpkin flaky pastries and I’m already thinking of making more. 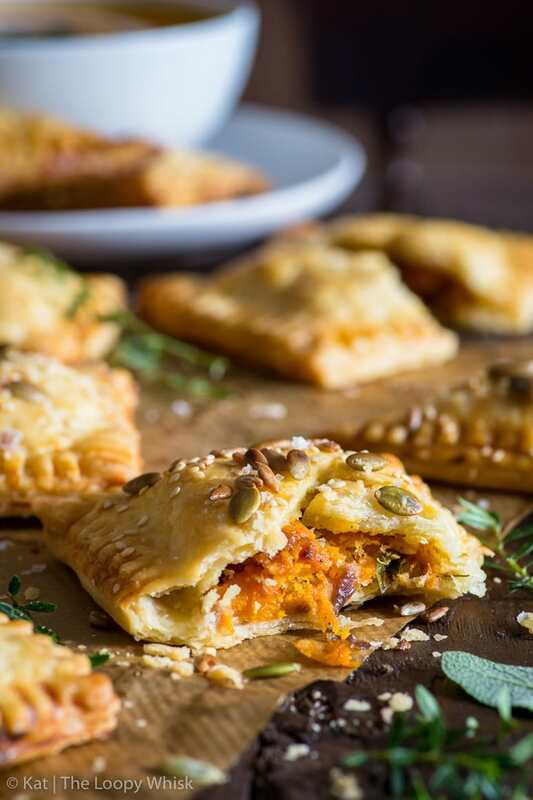 Yep, I’m unapologetically crazy about these bundles of flaky fall goodness, and trust me – once you taste them, you’ll be crushing on them too. Hard. 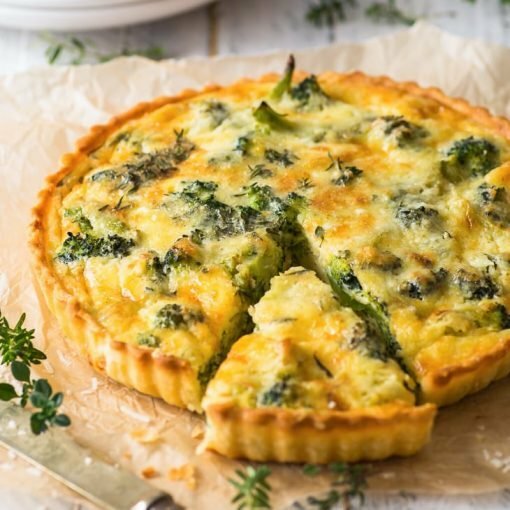 The gluten free pie crust is so flaky it’s almost puff pastry – just, you know, without all the hassle of carefully laminating the dough with the butter and those bazillion layers that take aaages to achieve. 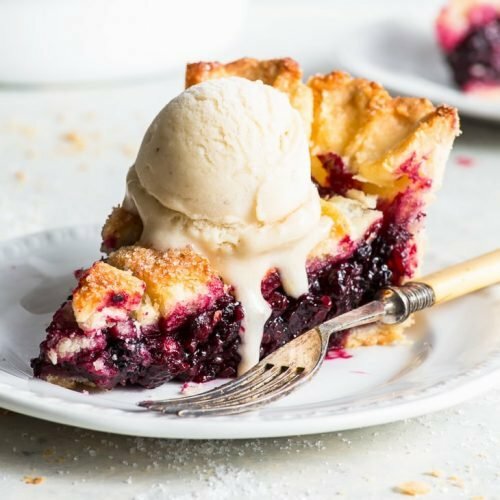 This pie crust? Made in 15 minutes. 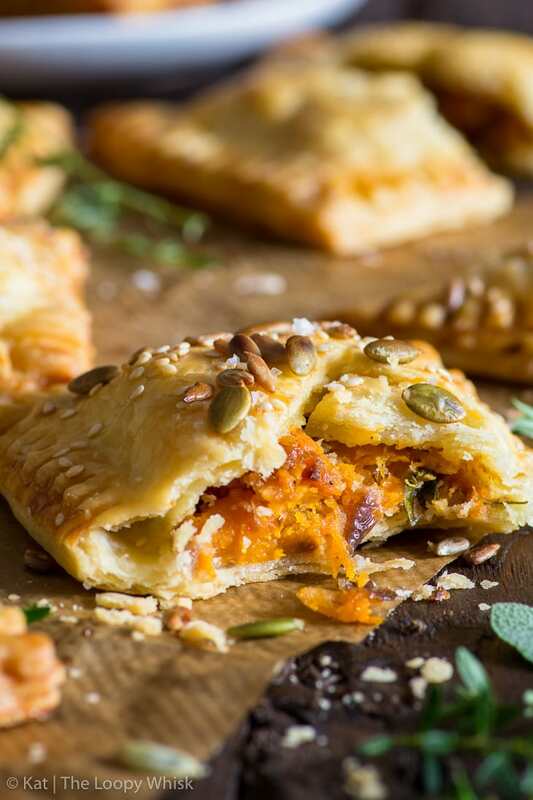 The pumpkin (or butternut squash) filling… is giving me chills just thinking about it. The gentle sweetness of pumpkin or butternut squash, the awesomeness that are caramelised onions and a small mountain of grated cheddar. A pinch of nutmeg and a few sprigs of thyme – you know it’s gonna be good. Epic. Memorable. Okay, let’s get one thing out of the way. 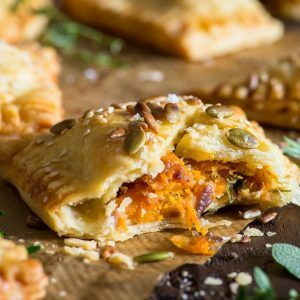 I know that butternut squash (which is what I’ve used in this recipe) and pumpkin technically aren’t one and the same – but they are super easy to swap for each other. So for this recipe, just choose whichever you prefer and/or have on hand. Mmkay? 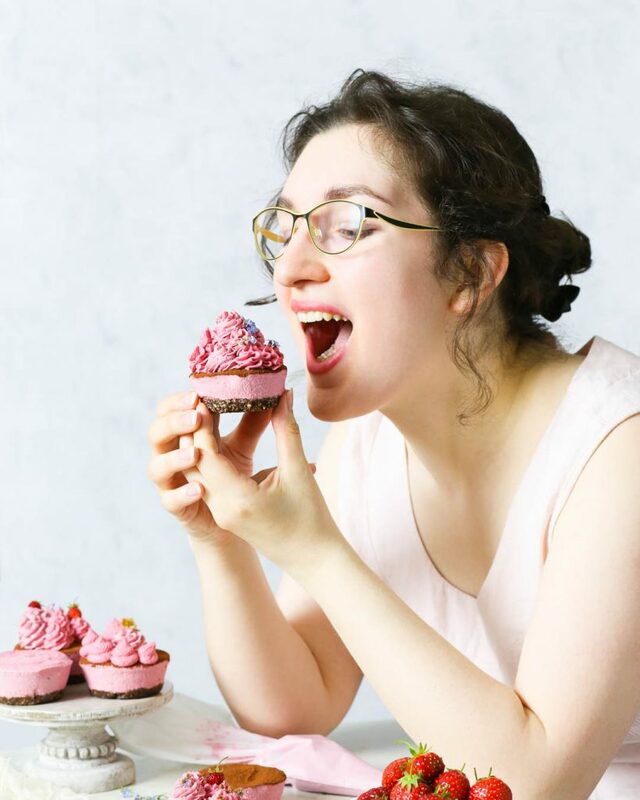 I personally went for butternut squash because I just adore its slightly nutty, sweet flavour. To supercharge its awesomeness, I roasted it in the oven until perfect and caramelised and heavenly. Trust me when I say… I was sooooo tempted to forget all about making the pastries and just eat the roasted butternut squash straight off the tray. So. Good. It’s kind of amazing what a tablespoon of olive oil, a pinch of salt and pepper, and a bit of TLC can do. Don’t skip this step. Yeah, it takes about half and hour to 45 minutes, but… just pop the chopped pumpkin or squash in the oven and let it do its thing. It’s worth it. 100%. 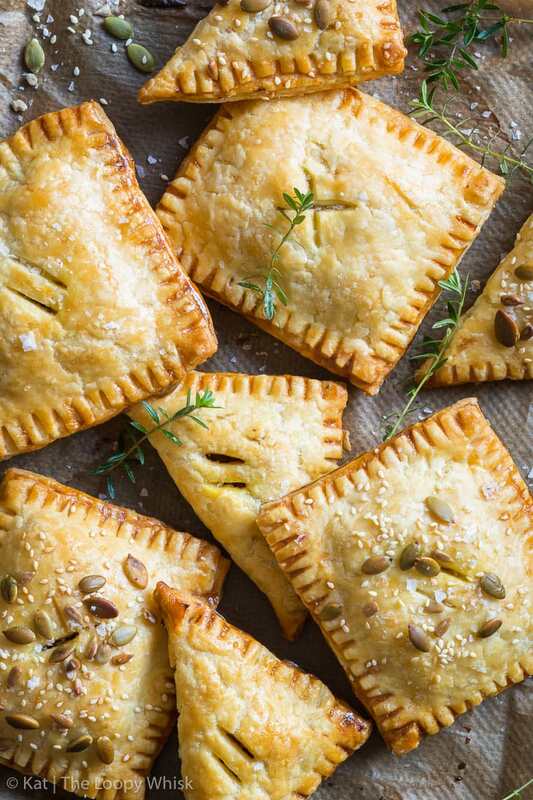 These pumpkin flaky pastries couldn’t be more autumnal if they tried. 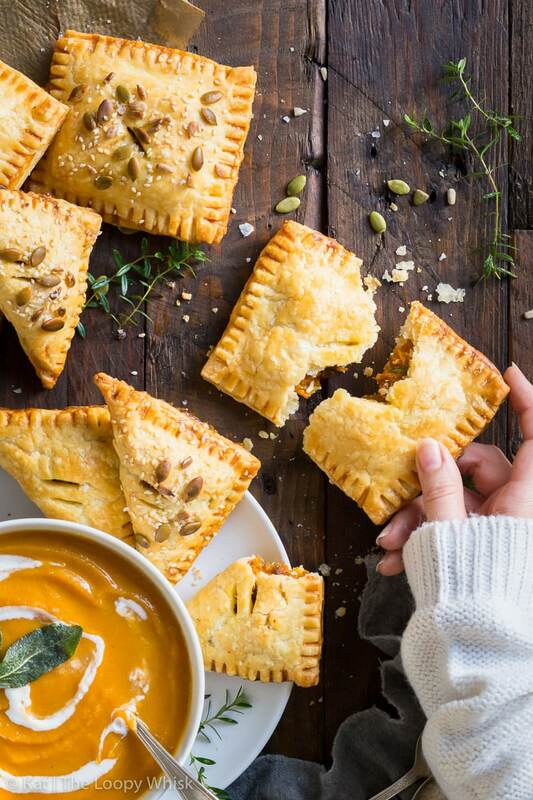 They are THE perfect fall comfort food – especially when paired with a delicious, warming butternut squash soup. (Recipe coming soon!). Because I haven’t said it yet: happy October! Is anyone else crazy excited for golden and orange leaves swirling in the wind, for cold days with crystal clear blue skies, and for the coziness of a warm jumper? Tell me I’m not the only one. I love fall. The smells, the overabundance of spices everywhere, the pure coziness of the season. 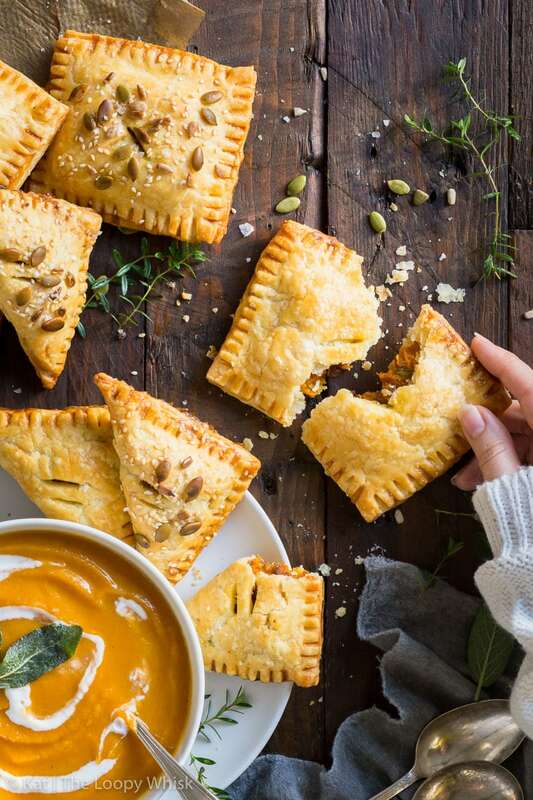 And now, we can add these pumpkin flaky pastries to the official list of things that make fall the best season ever. Yep, fall’s just gotten a whole lot tastier. Sift together the gluten free flour, coconut flour, xanthan gum and salt. Pre-heat the oven to 390 ºF (200 ºC) and line a large baking tray with baking/greaseproof paper. 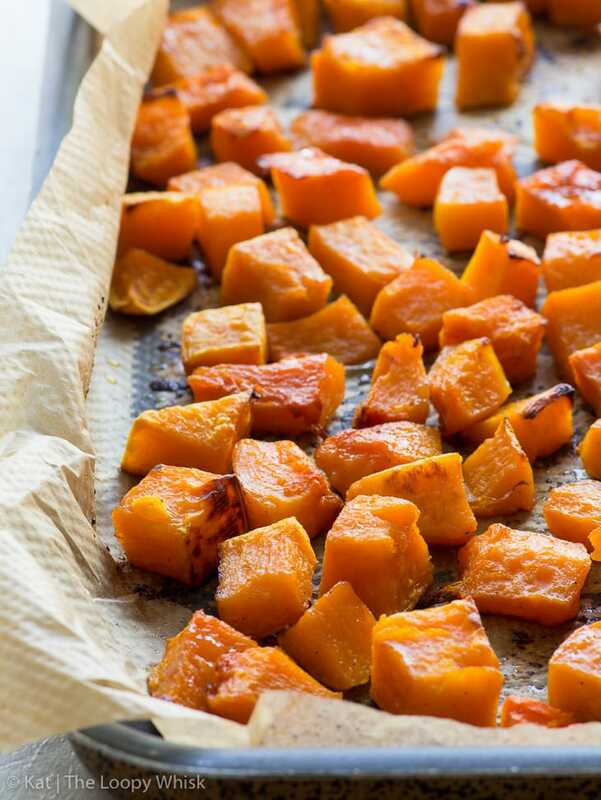 In a large bowl, toss the chunks of pumpkin/butternut squash with 1 tbsp of oil and a pinch of salt and pepper. Transfer the chunks onto the lined baking tray and spread them out evenly so that they form a single layer. Roast the pumpkin/butternut squash chunks at 390 ºF (200 ºC) for 45 minutes - 1 hour, until soft and caramelised. Caramelise the onions with 1 tbsp olive oil and a generous pinch of salt. Cook them for 10 - 15 minutes, stirring frequently, until softened and caramelised. In a bowl, lightly mash the roasted pumpkin/butternut squash until you have a mix of chunks and mash. Add the caramelised onions, grated cheddar cheese, nutmeg and thyme. Add salt and pepper to taste. Mix well. Roll out the chilled pie dough about 2 mm thick, and cut out 3 x 4 inch rectangles (or 4 x 4 inch squares for triangular pastries). You should get 16 rectangles (or a mix of rectangles and squares, in total this recipe makes 8 - 10 pastries). Egg wash the edges of half of the rectangles and spoon about 2 tablespoons of the filling into the centre of each one. Spread the filling slightly, but leave at least 3/4 inch room around the edge. Place the remaining rectangles on top of the filling, seal the edges with your fingers and "crimp" the edges with a fork. Egg wash the pastries and make a small cut on top of each pastry (see pictures in post). Sprinkle with a mix of seeds (optional). Egg wash two adjacent edges of all the squares and spoon a heaped tablespoon of the filling into one corner of each one, leaving at least 1/2 inch room around the edge. Fold the other side of the pie dough square over to make a triangle, seal the edges with your fingers and "crimp" the edges with a fork. 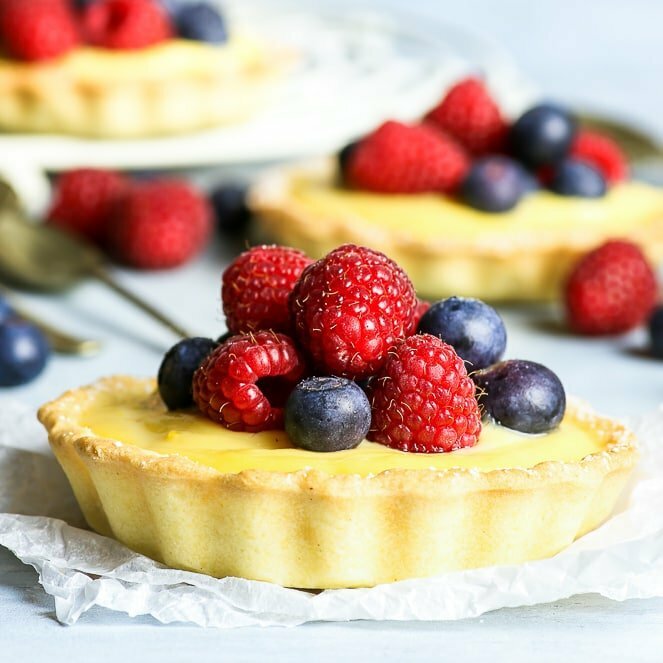 Bake the pastries in the pre-heated oven at 355 ºF (180 ºC) for about 40 minutes or until flaky and golden brown. The pumpkin flaky pastries keep well in a closed container in a cool dry place for 3 - 4 days. They are easily re-heated in the microwave (medium power setting for 1 - 2 minutes). 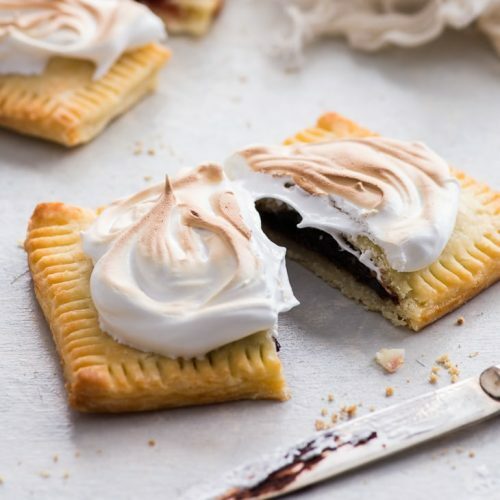 Looking for more delicious pastry recipes? These look so yummy and they almost tick all our allergy boxes. 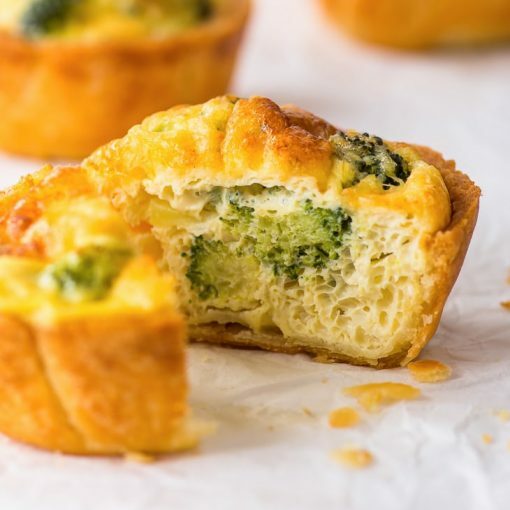 Is there anything that can be substituted for the coconut flour? Could I just use only gluten free flour? Thanks for any info you might have. 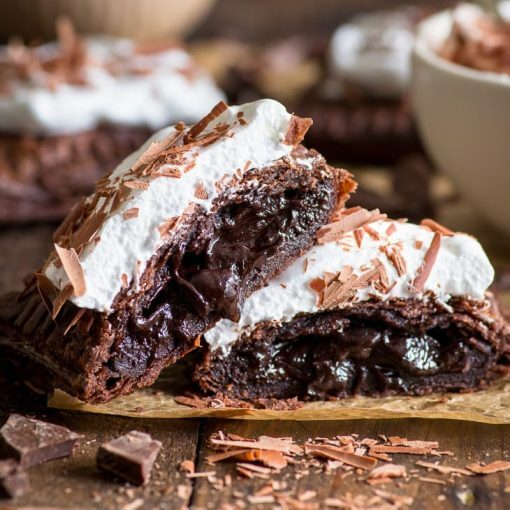 You can definitely use only the gluten free flour blend – the coconut flour gives the pastry an extra crispness, but isn’t 100% necessary.